This delicious dip with freshly picked thyme and butternut squash is highly versatile. 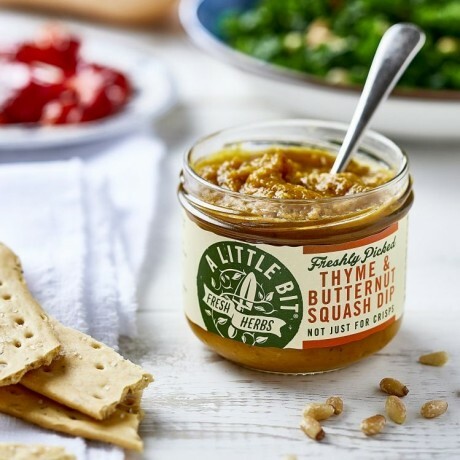 Perfect for dipping crisps, pitta bread or crackers in, as a topping on baked potatoes, or to accompany chicken dishes. Very moreish! 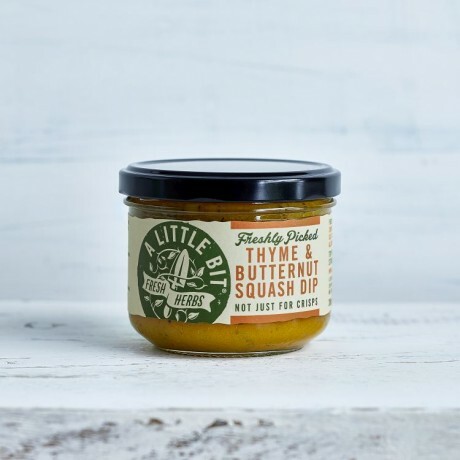 Butternut squash, Onion, Cider vinegar, Carrot, Rapeseed oil, Yellow pepper, English mustard ( water, mustard flour, sea salt, turmeric, pimento), Garlic, Fresh Thyme, Salt, Sugar, Black pepper.